Manufactured Homes | Manufactured Home vs. Modular Home: What's The Differences? 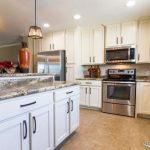 Home » Manufactured Home vs. Modular Home: What’s The Differences? Some people, even in the manufactured housing industry, use the terms “manufactured home” and “modular home” interchangeably. As a result, shoppers sometimes have difficulties determining which of these homes meet their individual needs. Hopefully, the following brief explanation will help end the confusion and save the potential home buyer valuable time when considering which home is right for their situation. First of all a manufactured home or a modular home is not a “mobile home.” In fact, there have been no mobile homes built in over 40 years. Say what? That’s right. On July 15, 1976, a law passed by the U.S. Congress titled The Federal Construction and Safety Standards Act, administered by the Department of Housing and Urban Development (HUD), was implemented. The HUD Code regulates manufactured home design and construction, strength and durability, fire resistance, wind safety, energy efficiency and overall quality. The HUD Code also sets performance standards for heating, plumbing, air conditioning, and thermal and electrical systems. That means that manufactured homes are the only form of housing in the U.S. subject to a federally mandated national building code. Today’s modern manufactured homes is a viable solution for those seeking affordable quality homeownership. A new manufactured home will be built with quality, features, and amenities equal and sometimes superior to a comparable site built home with a building price that can be 50% less, excluding land costs. 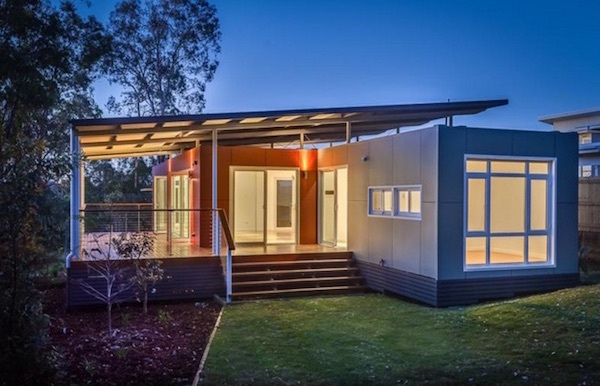 What is a modular home… and what are the differences? A modular home is also considered a manufactured home that is built off-site in an in-door manufactured home facility. These homes are often called “factory-built,” “system-built” or “pre-fab (short for prefabricated) homes. 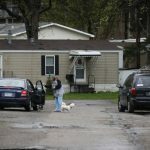 Shoppers may not be aware that HUD Code manufactured home manufacturers are the largest builders and sellers of modular homes in North America, by a huge margin over “modular only “ builders. So what makes them different? The answer is in the building code. As noted, a manufactured home is built to the HUD Code. States, counties and municipalities often only permit houses in residential zones that are built to the International Residential Code (IRC), which requires the home to be permanently affixed to the land upon which it is placed, the frame and undercarriage removed, and titled as real estate making it eligible to be financed as a traditional site built home. The modular home will cost a little more because of the building code requirements. Otherwise, the homes will be both built to high-quality standards with no discernable difference in exterior or interior appearance. A HUD Code manufactured home is typically installed on private land or in a rental community, and thus is not classified as real estate, and not eligible for traditional mortgage financing. However, the manufactured home that is installed on an approved foundation system may also be classified as real estate and be eligible for the preferred financing terms.